What can be better than love quotes? Not all that many things. These are my favorite quotes about the messiness and madness that comes with being in love. 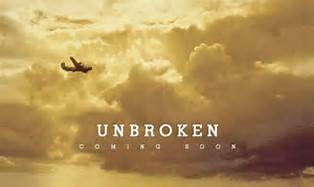 I found the movie Unbroken to be an inspirational one to say the least. I haven’t read the book and I’m the type that absolutely hates to see a movie before I read the book. I was still familiar with Louis Zamperini’s story and so I went ahead and saw the movie. One of my favorite parts, and I’m not sure how accurate it is, was when Louis changed his attitude. He was a kid that constantly in fights due to the fact that he was different from the other boys. He believed the lies the boys told him, that he wasn’t good enough to do anything. Louis’s brother Pete told him that he could do anything that he wanted to do and encouraged him to use his quick speed to use by joining the track team. Pete pushed him to keep going harder and harder, even calling him mean names from the sidelines as Louis was running in races. I think this story about his childhood is important because it shows his change of attitude. It shows that you don’t have to accept being a negative person who refuses to evolve, you can change your attitude. Changing your attitude depends upon changing your state of mind and the way that you view yourself and the ones around you. You can’t just convince yourself that you’re not important and that everyone is against you. You have to motivate yourself and believe in your abilities. A motto that Louis uses throughout the hardships he endures in his life is something that Pete told him, “If you can take it, you can make it.” This is a beautiful and optimistic take on life and it can make things easier to face. Louis refused being a bitter person who did nothing with his life and being a more hopeful and happy person was what got him through being stuck on a boat for 47 days at sea then the months of being held at a Japanese POW camp. In the end, Louis decided to get rid of all bitterness and forgive. It took him awhile but he eventually let go and became a better person because of it. Louis Zamperini has a story about life, love, survival, change, bitterness, rage, and also forgiveness. Once he accepted Christ as his savior, he forgave all of the Japanese men who held him captive. Some of which were amazed with Zamperini’s faith and were then led to accept Christ as well. Above all, this movie shows that change is inevitable but it’s also something positive if we allow it to be that way.